JMS was contracted by the National Oceanographic and Atmospheric Administration (NOAA) to design new winch foundations, winch control and power systems, and structural modifications to the NOAA Ship HENRY B. BIGELOW to improve the trawl net hauling capacity of the vessel. The HENRY B. BIGELOW is a 209 foot steel hulled ship built in 2005 and is used primarily to study and monitor Northeast Marine Fisheries throughout New England. The crew and scientists aboard the BIGELOW haul catches of fish in their nets in excess of approximately 30,000 lbs. These extremely large catches present safety and operational issues for the crew of the BIGELOW as the vessel’s weight handling systems were not capable of handling such large loads. 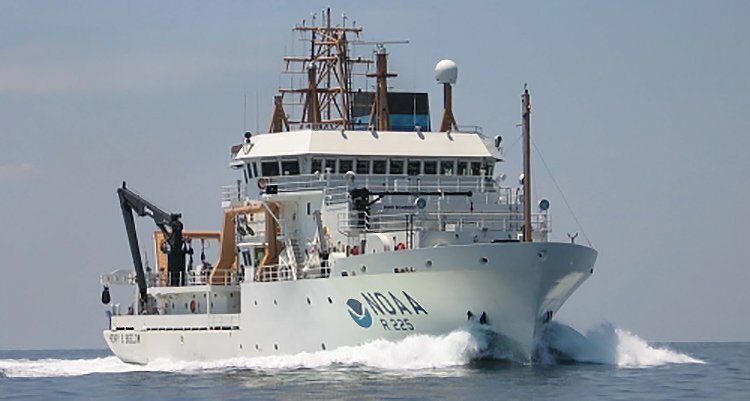 At the request of NOAA, JMS conducted an assessment to survey the ship and analyze potential solutions to improve the net retrieval capacity of the vessel. 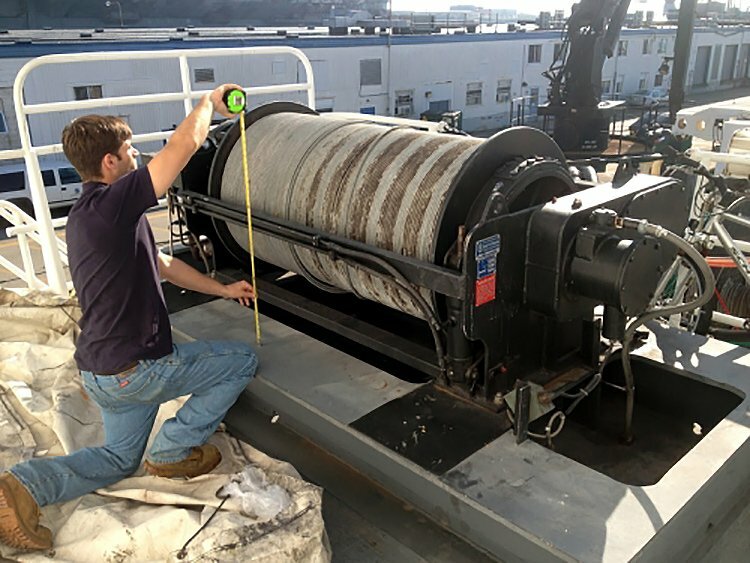 JMS developed the concept design for a new net retrieval system consisting of the two (2) modified Pullmaster 25,000 lbs line pull winches to be mounted on the ’02 deck and fitted with 7/8” Samson Amsteel line. The synthetic line is run forward and up through fairlead blocks on the ’04 Deck, then aft and down to the trawl net. JMS provided concept drawings for the new winch foundations and the structural modifications to the ’04 deck to support the new blocks. JMS also provided drawings for the layout of the new hydraulic power unit that will supply these winches.